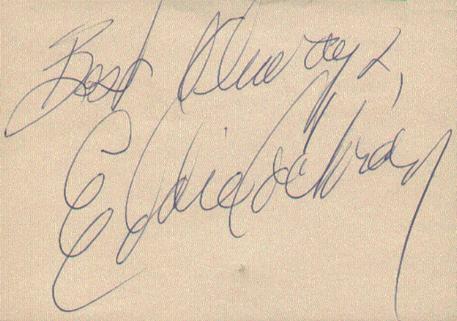 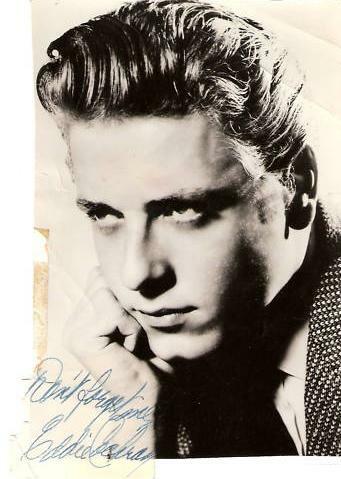 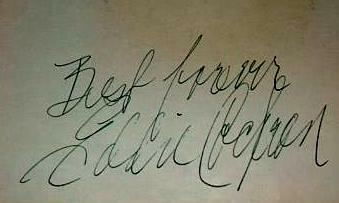 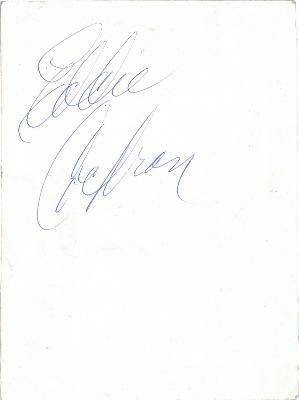 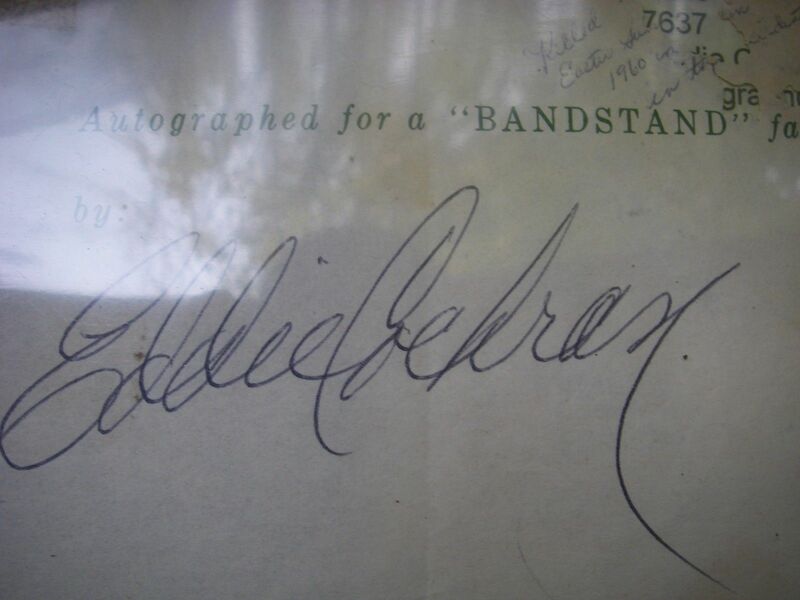 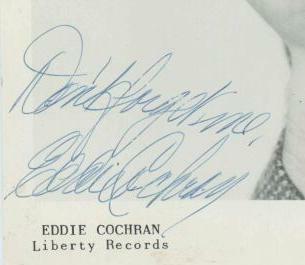 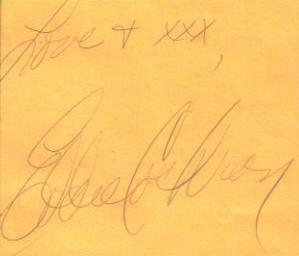 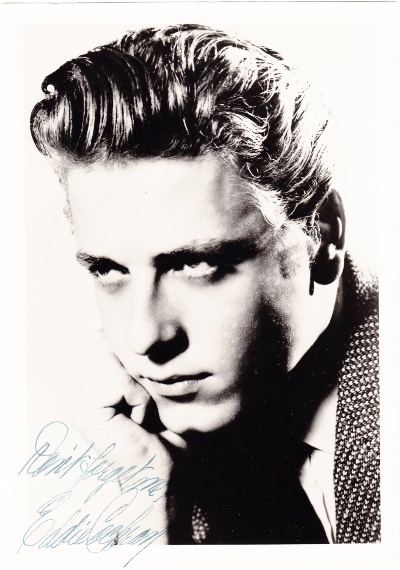 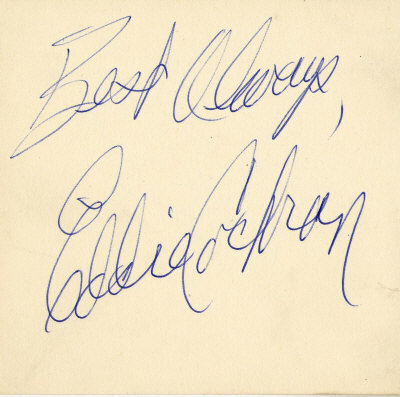 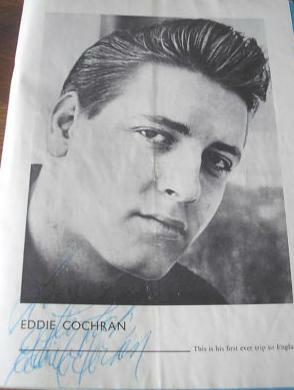 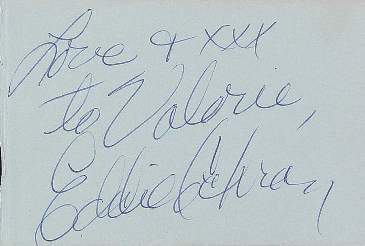 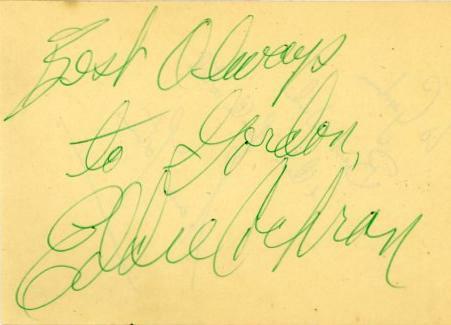 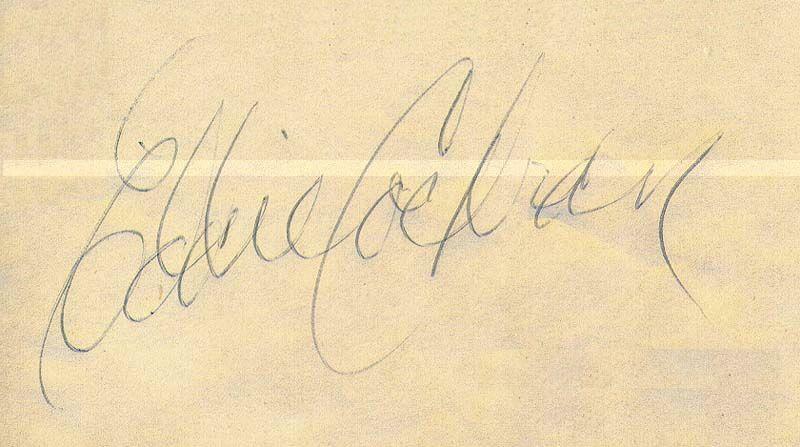 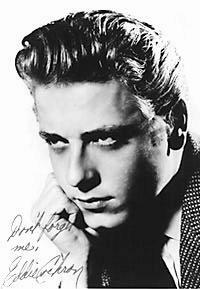 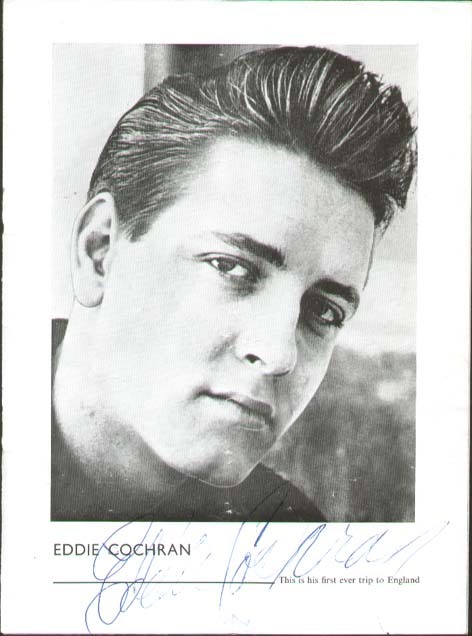 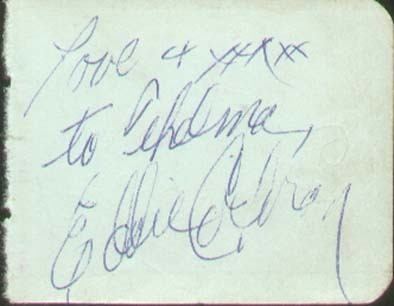 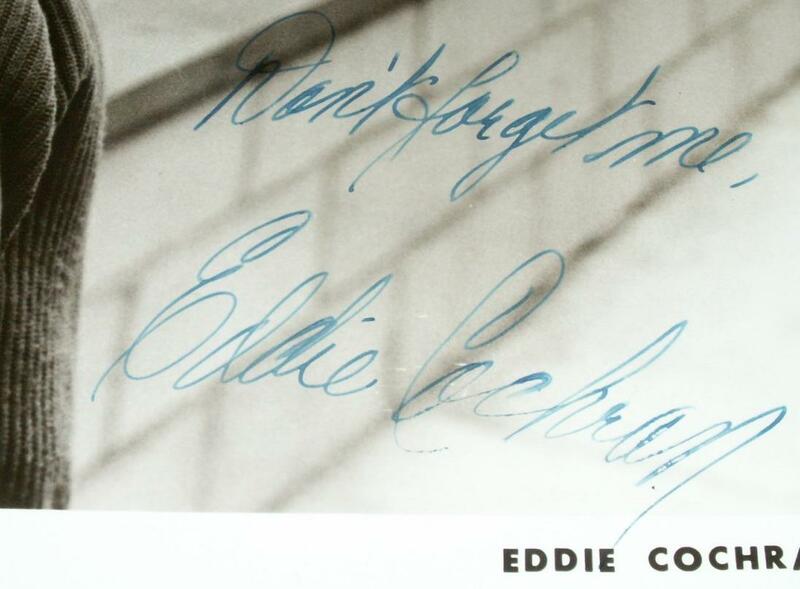 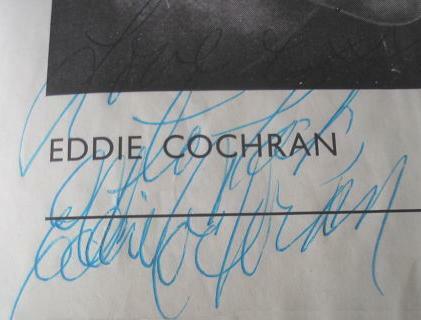 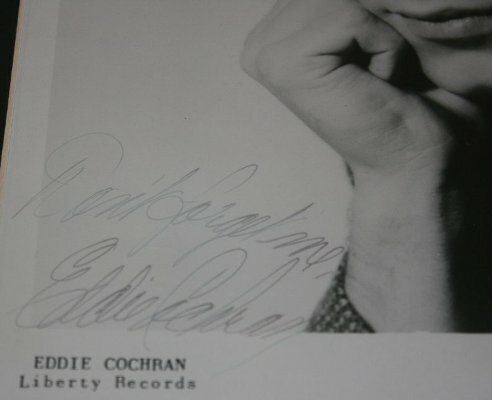 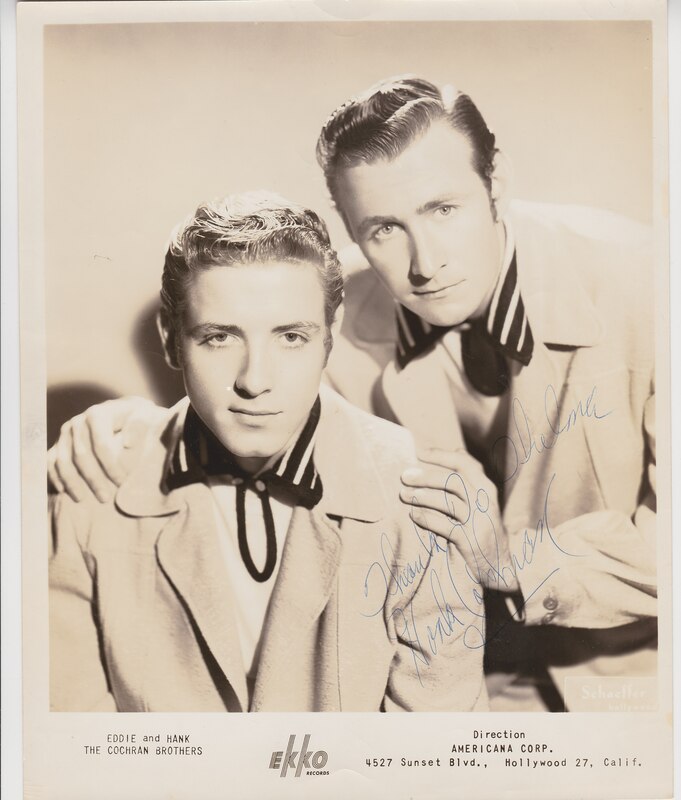 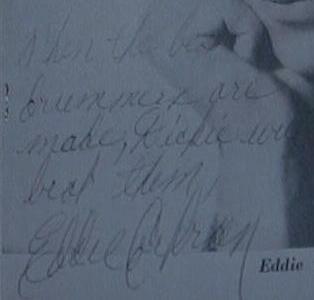 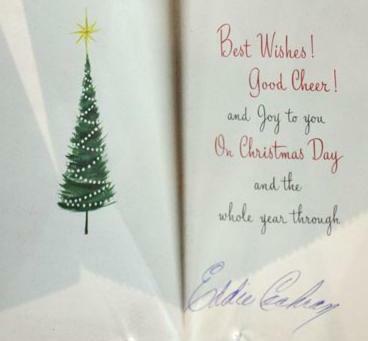 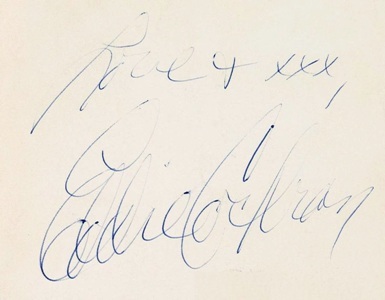 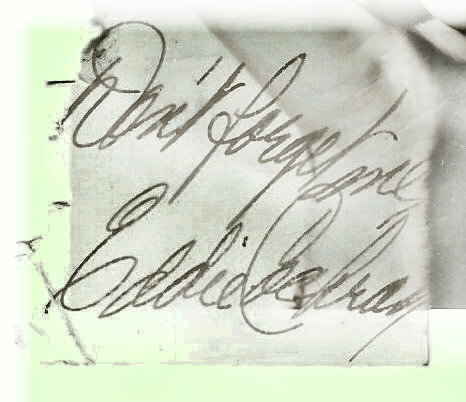 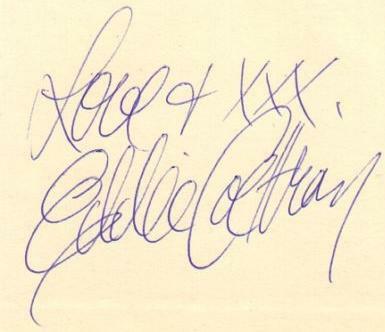 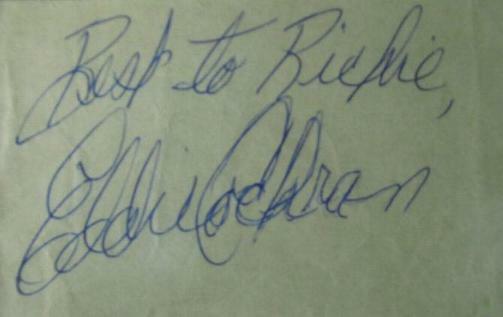 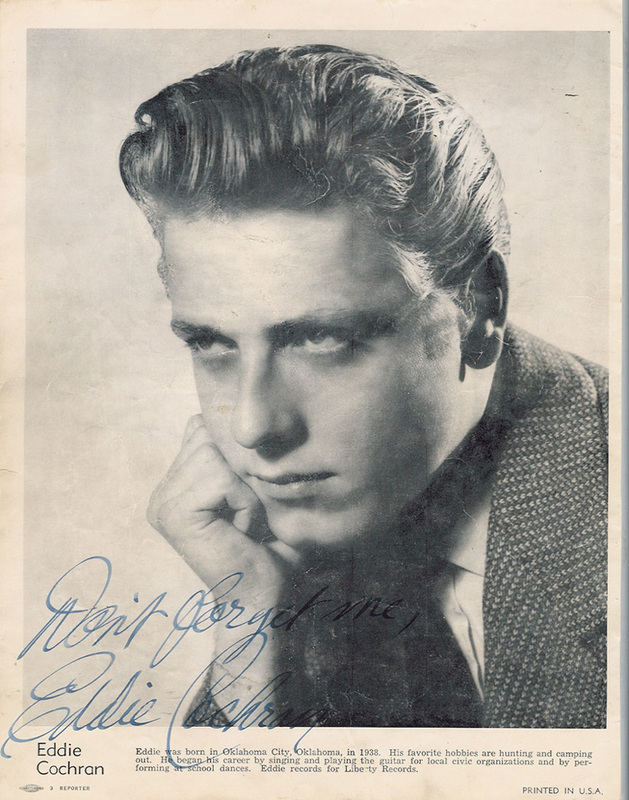 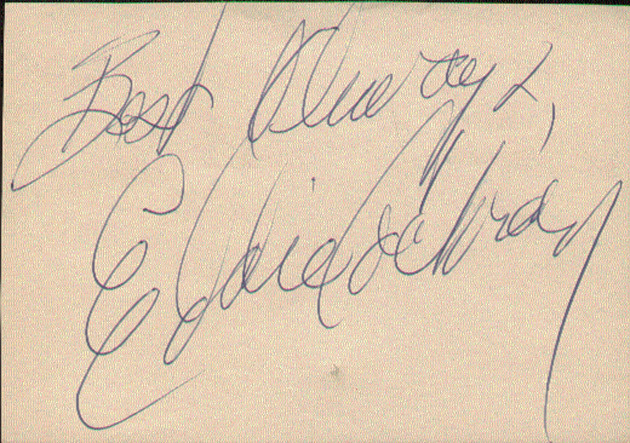 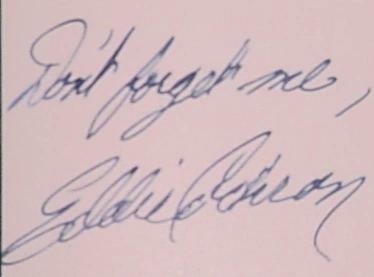 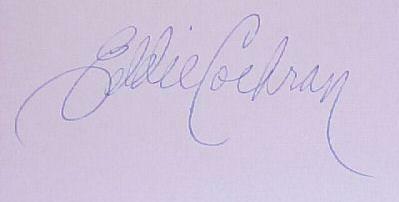 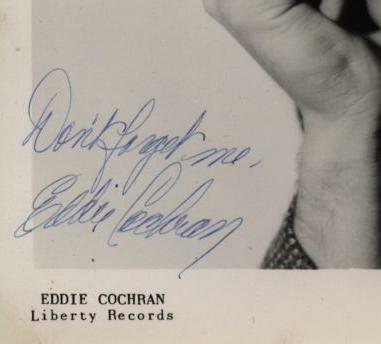 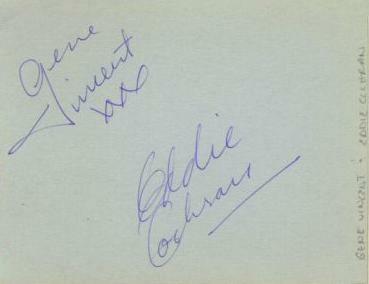 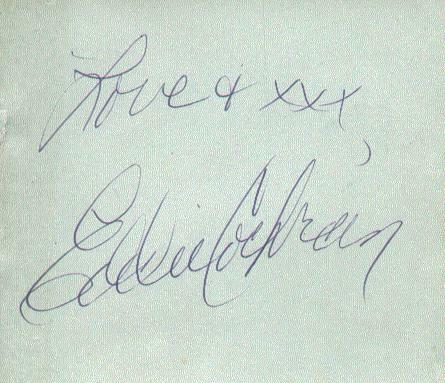 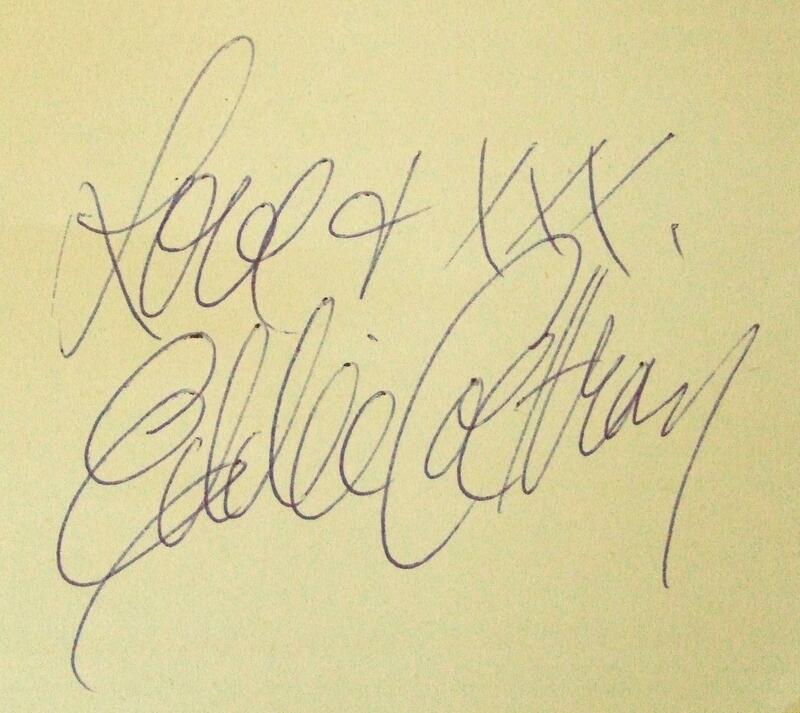 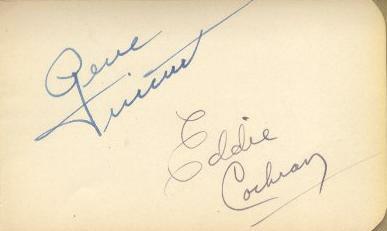 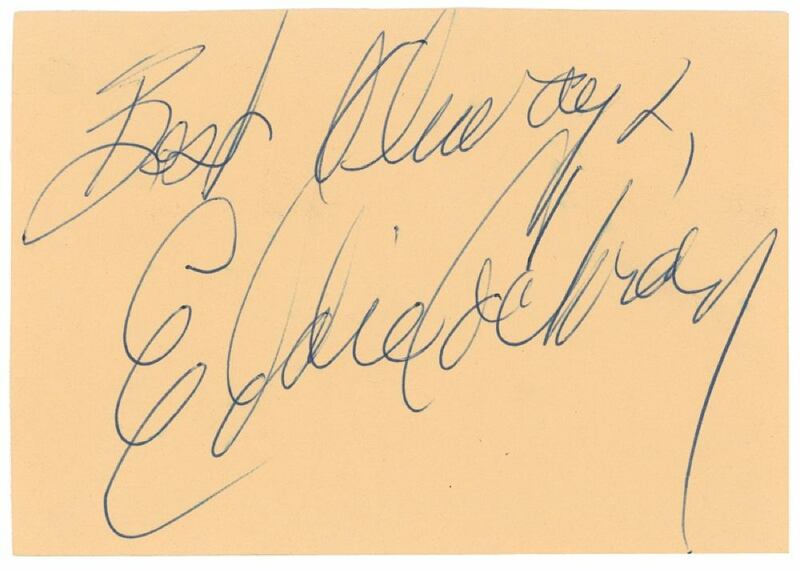 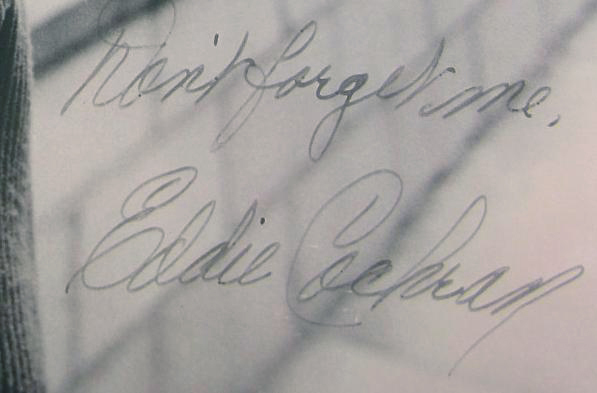 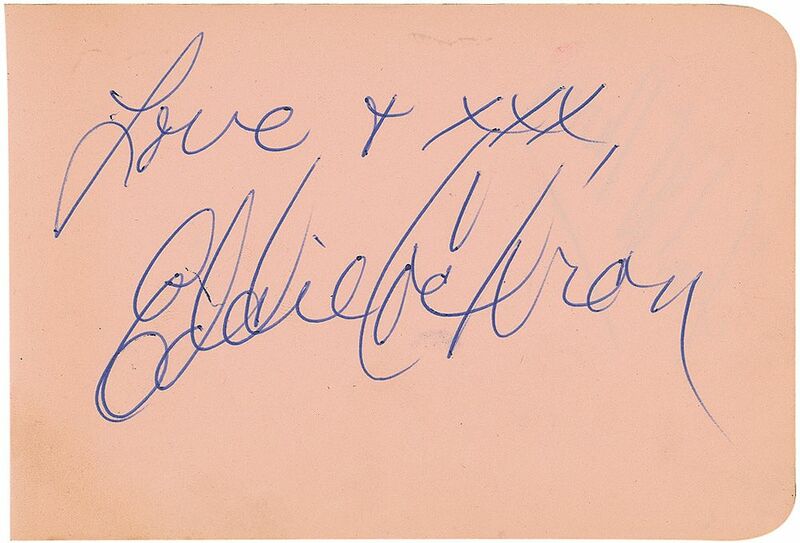 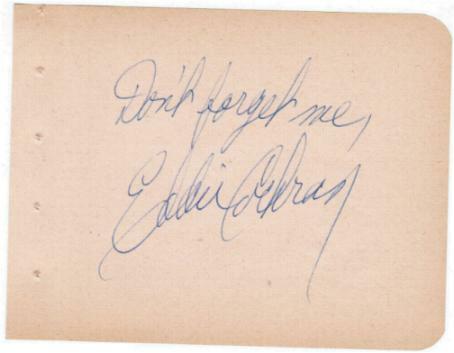 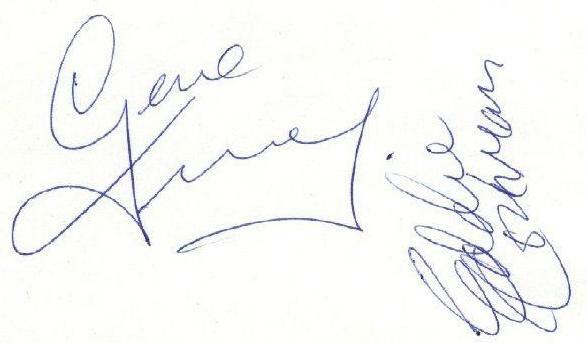 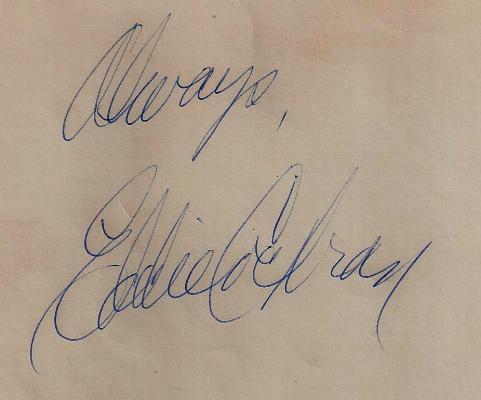 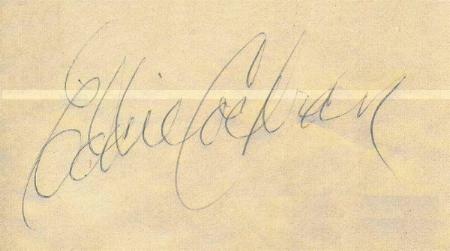 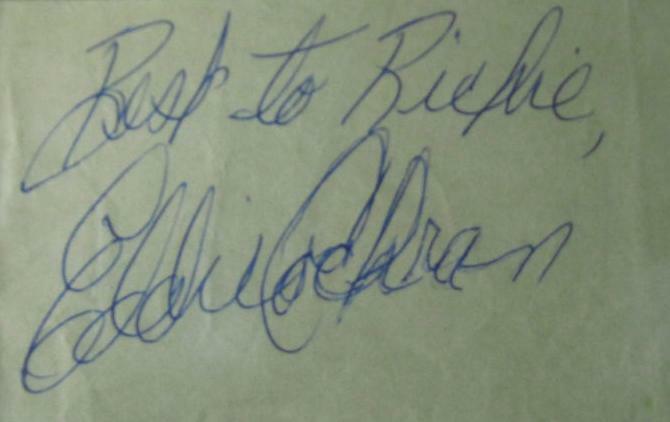 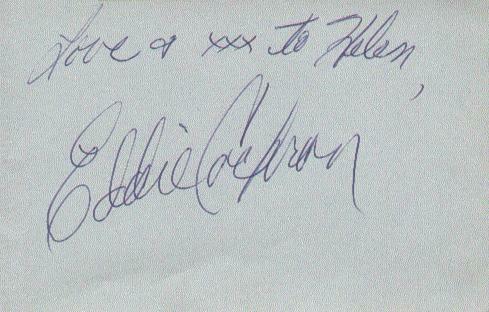 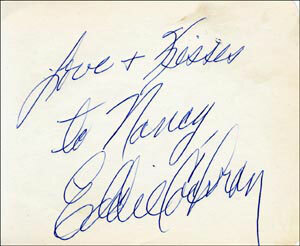 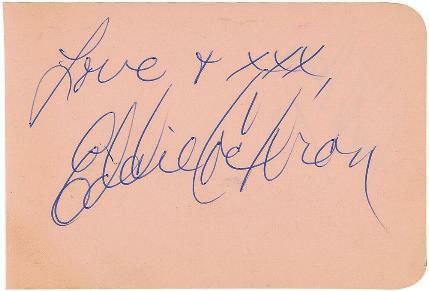 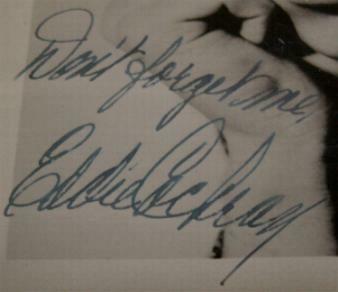 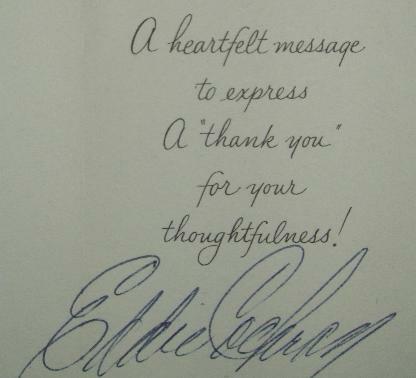 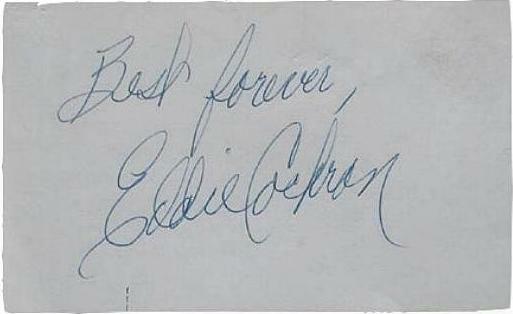 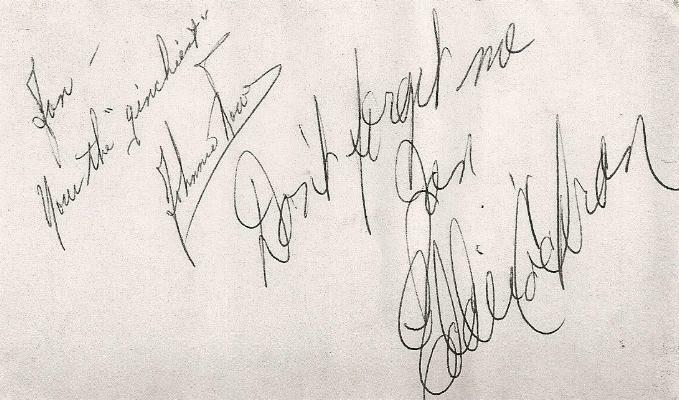 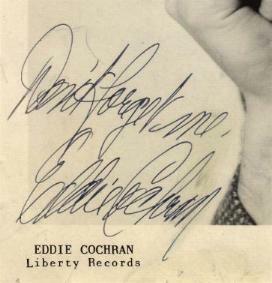 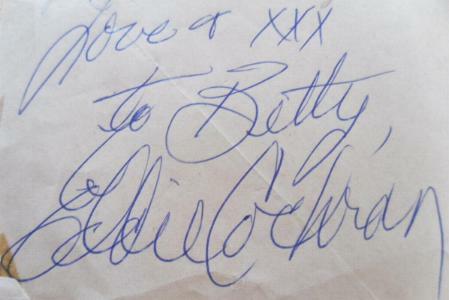 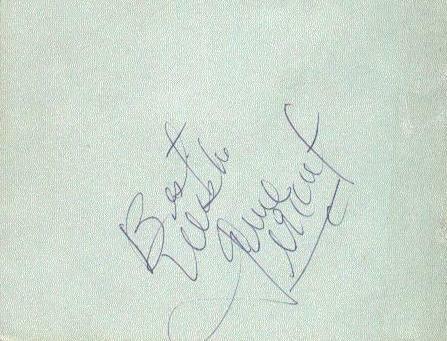 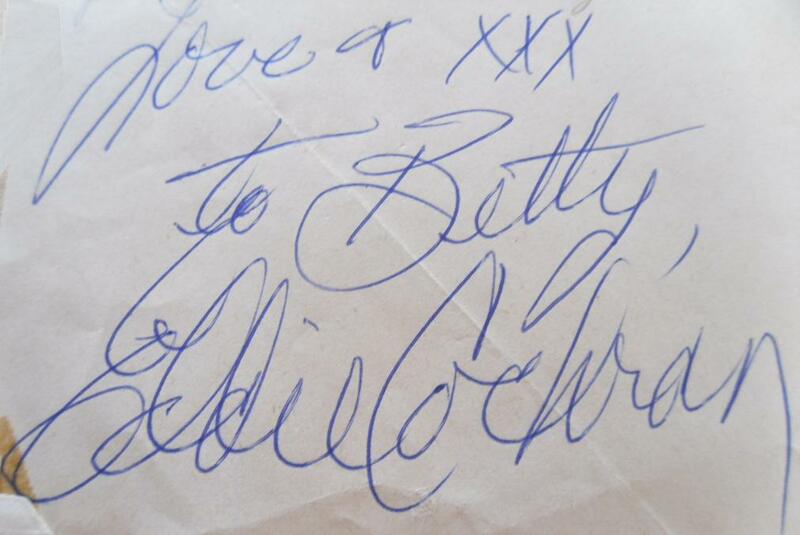 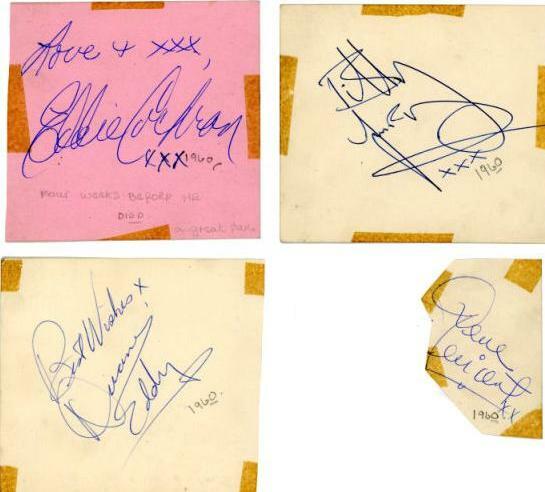 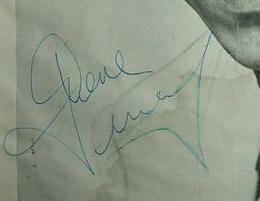 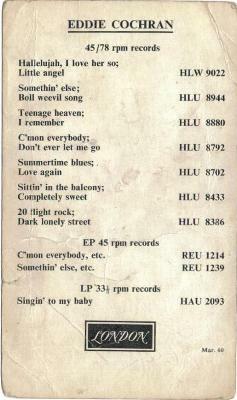 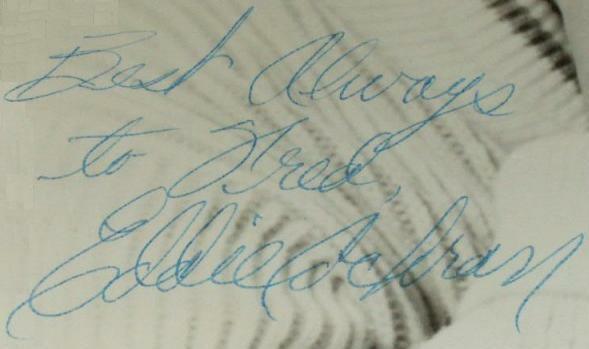 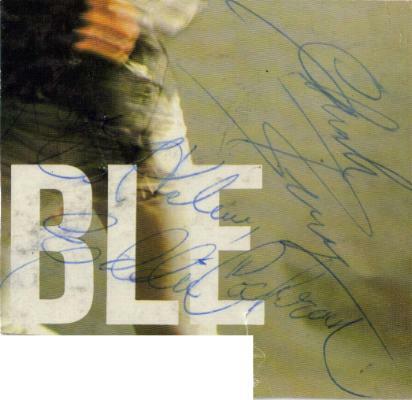 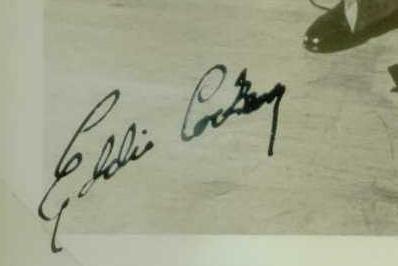 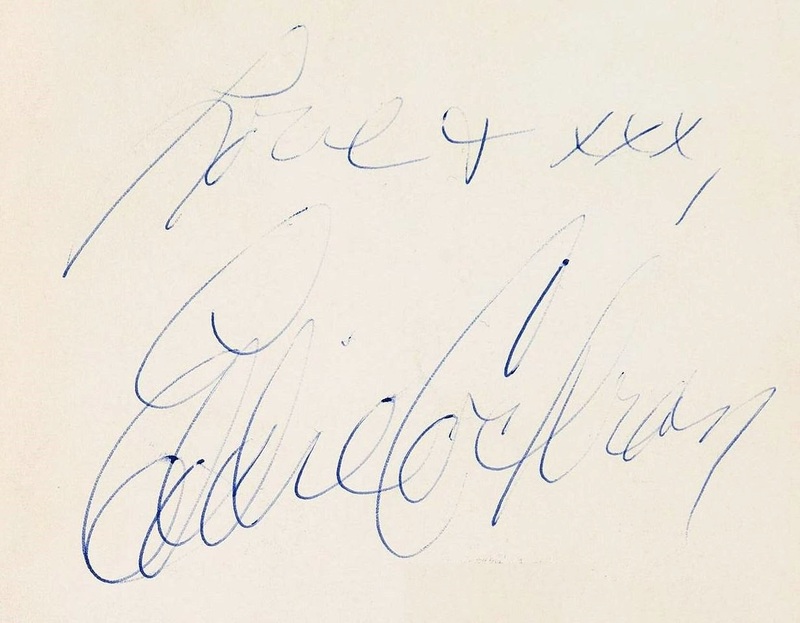 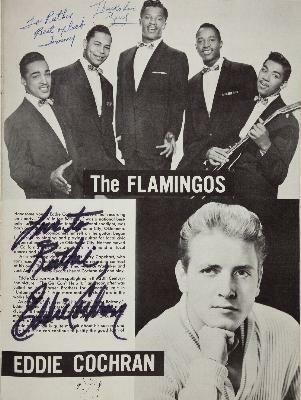 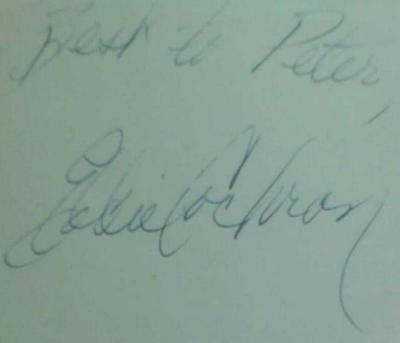 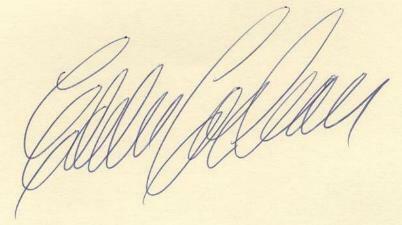 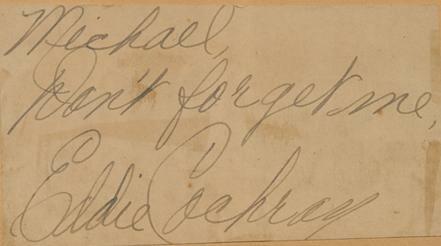 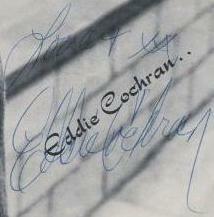 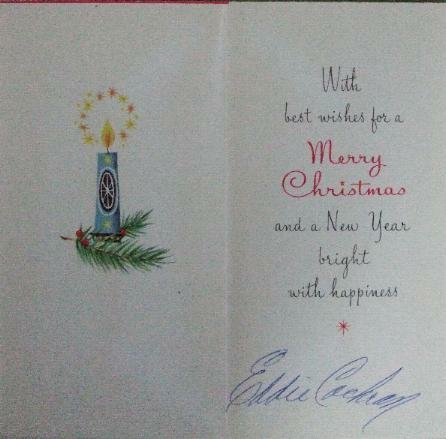 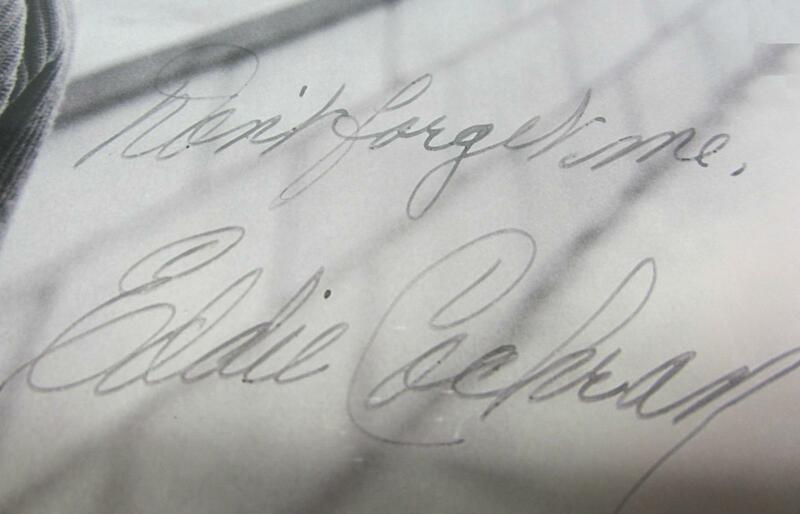 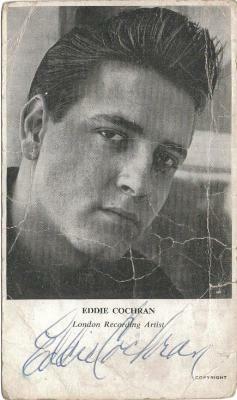 This autograph is sent by Pete Smith, it is obtained at the Bristol Hippodrome on the night Eddie lost his life. 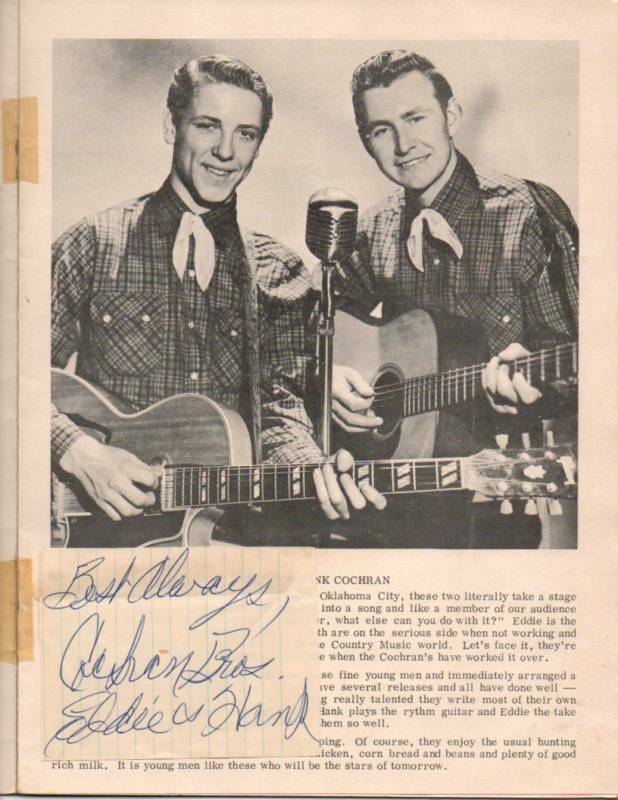 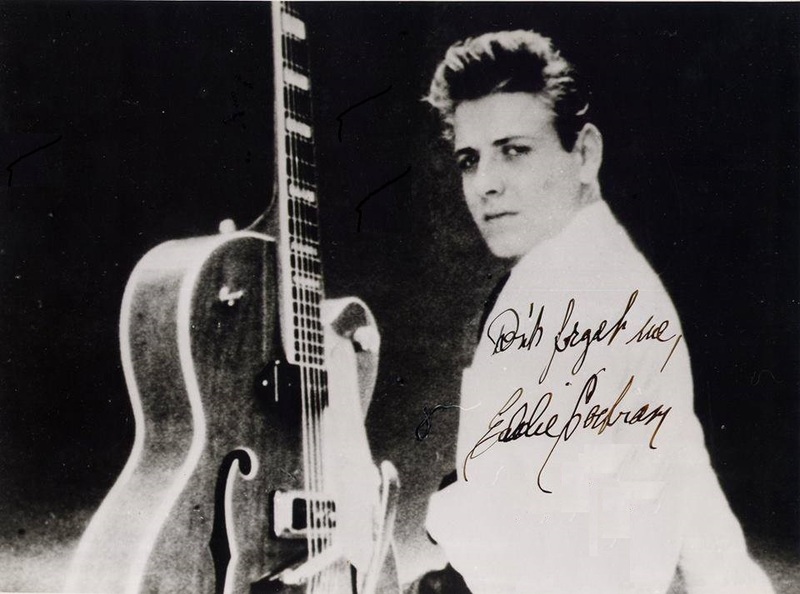 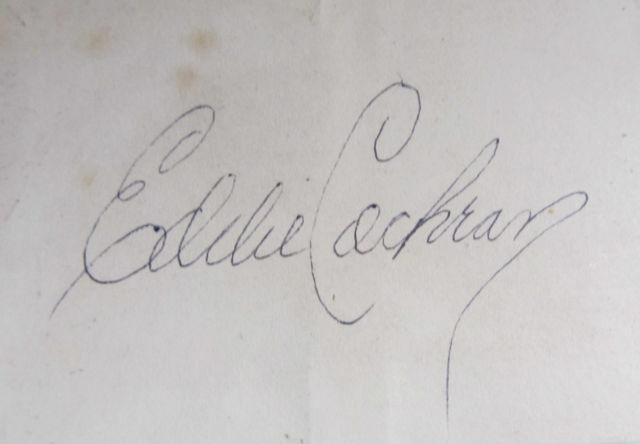 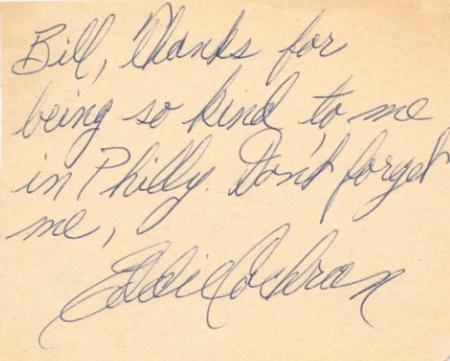 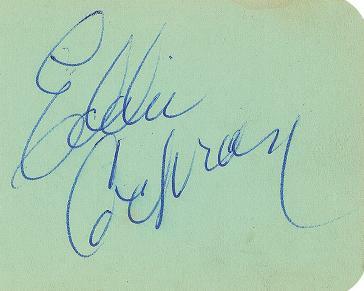 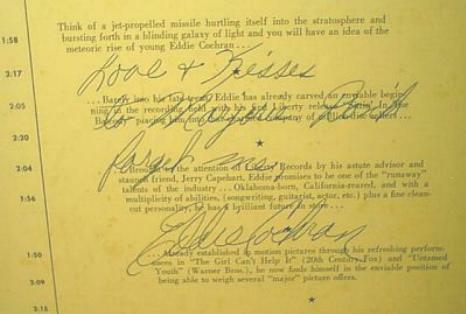 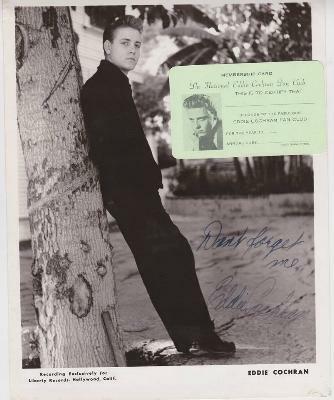 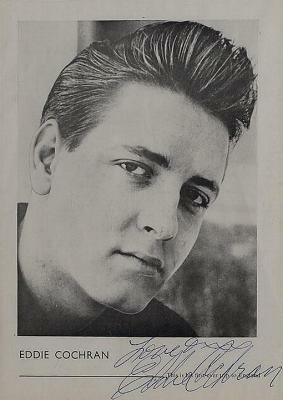 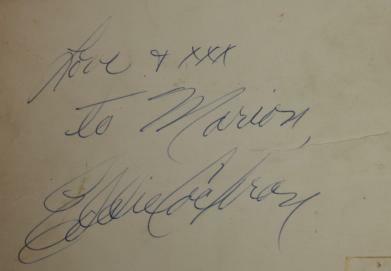 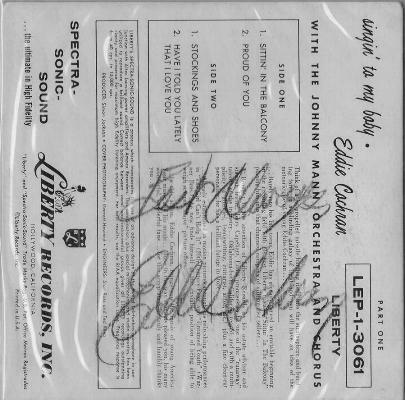 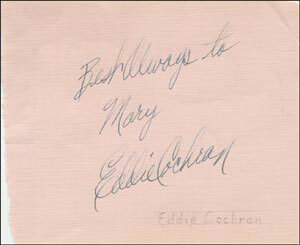 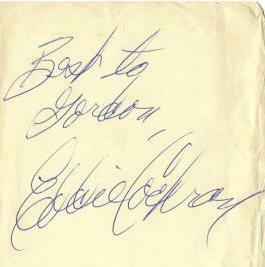 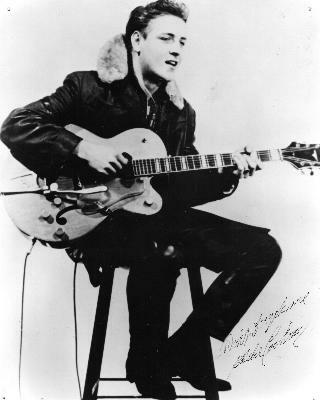 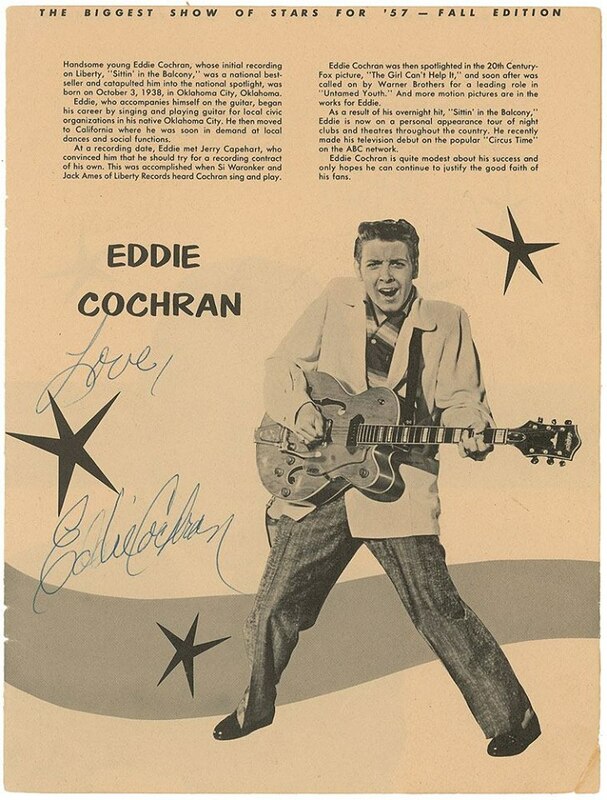 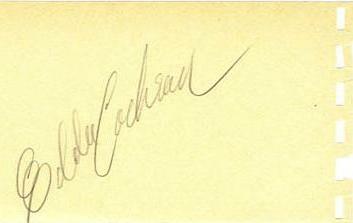 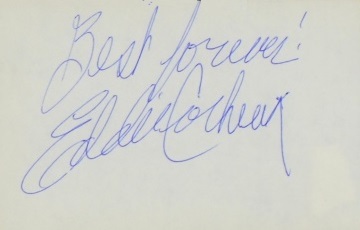 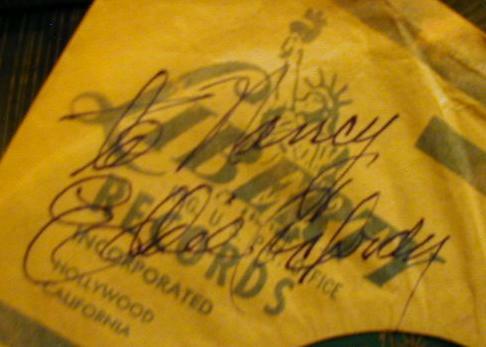 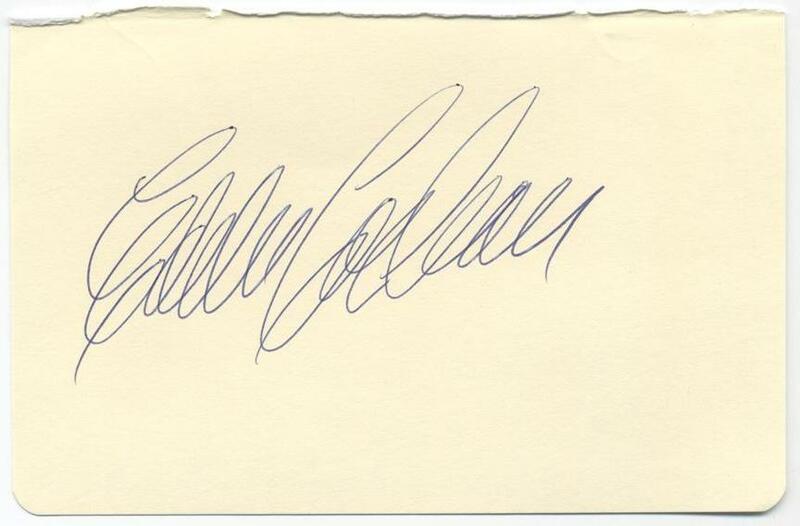 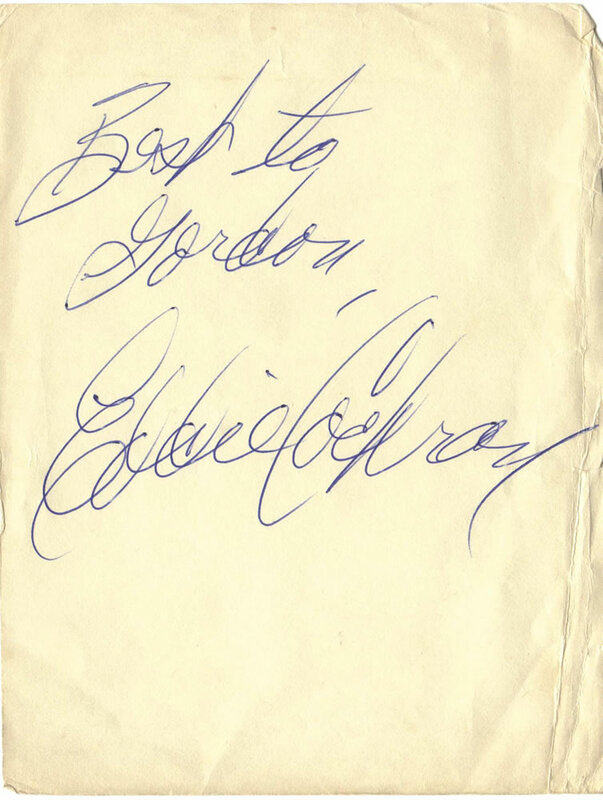 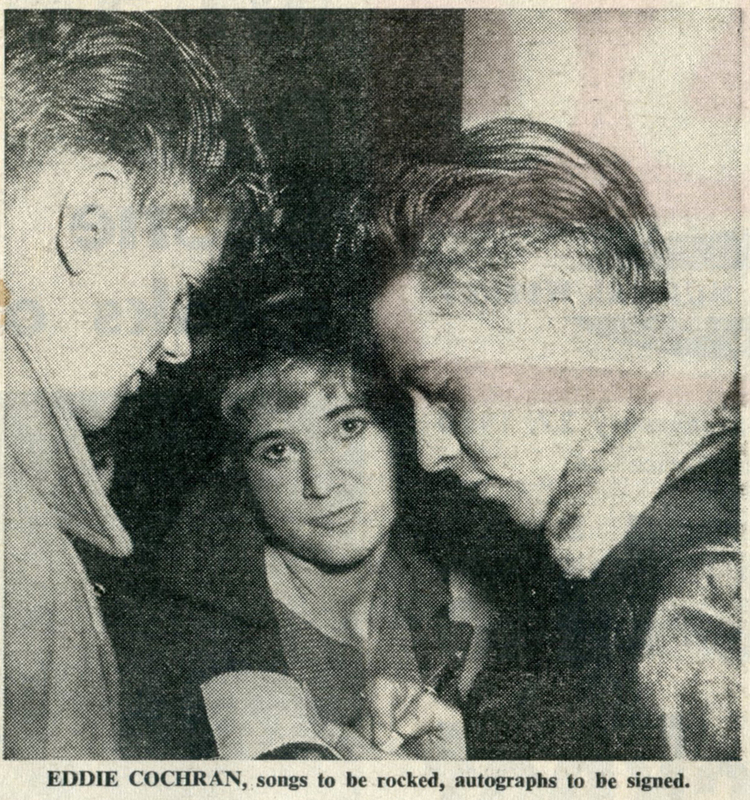 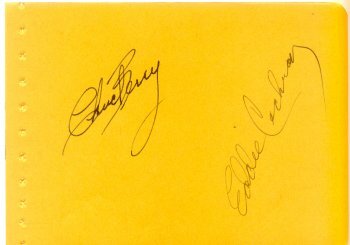 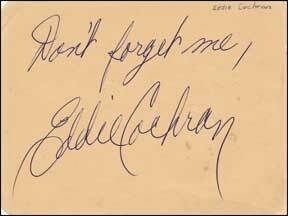 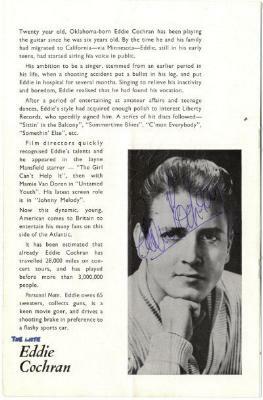 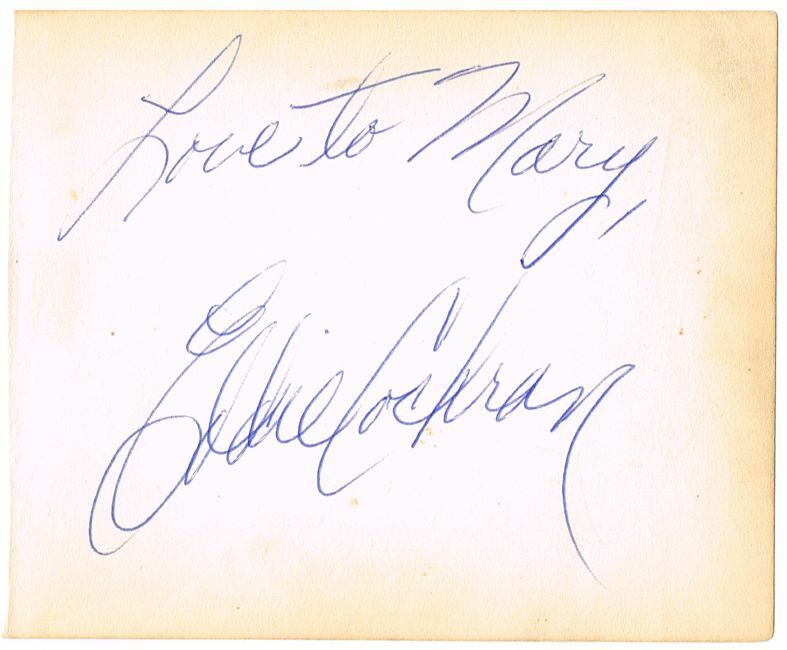 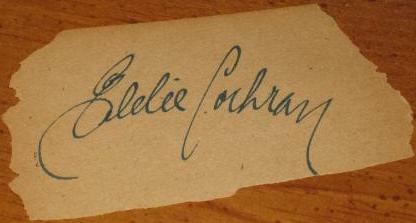 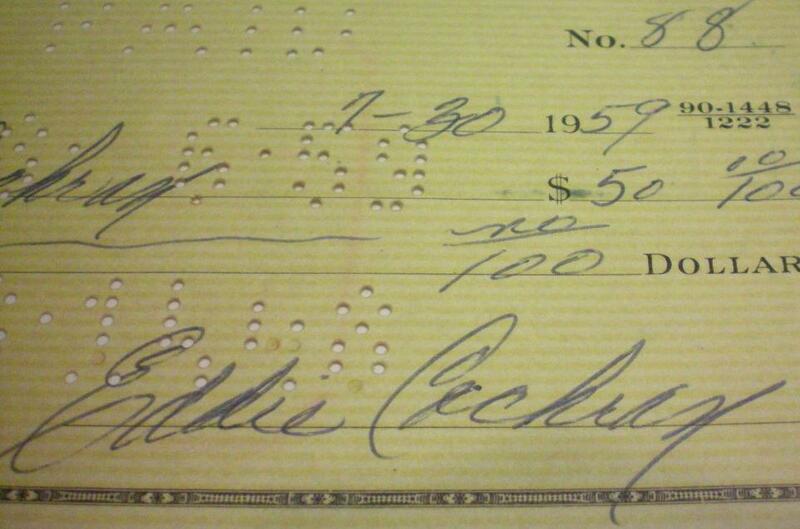 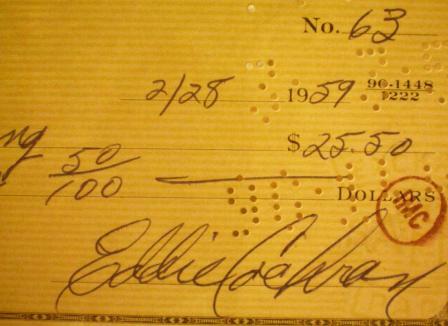 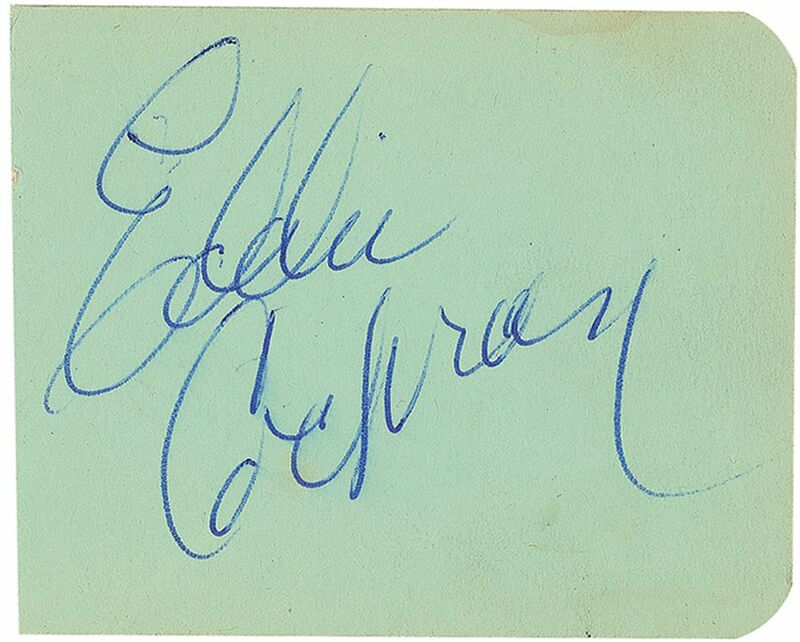 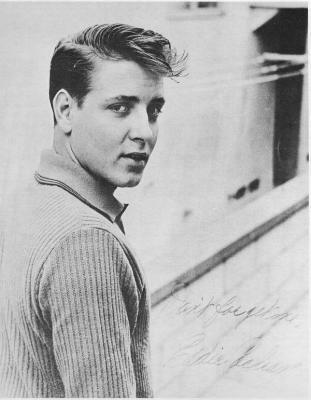 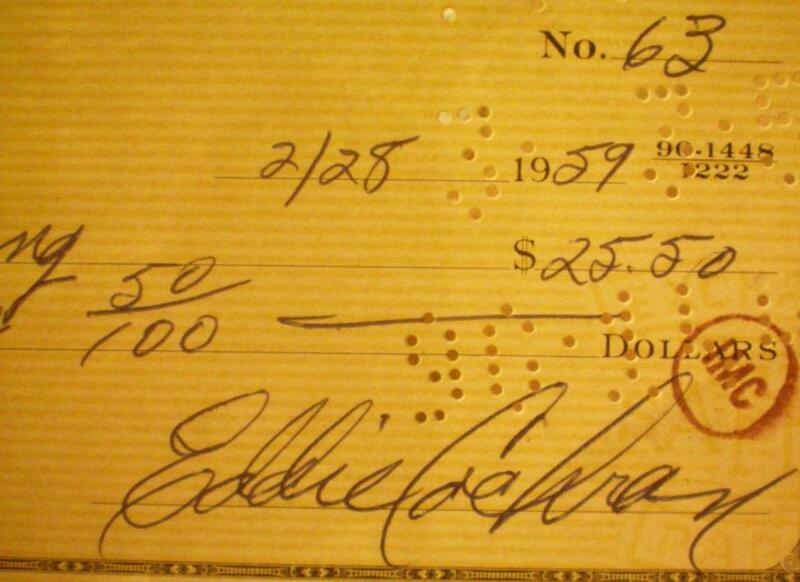 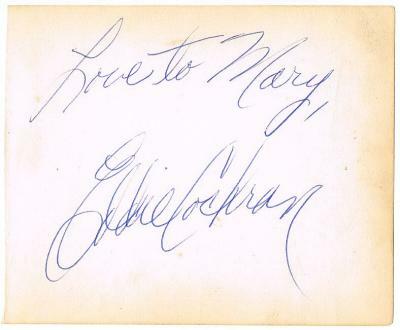 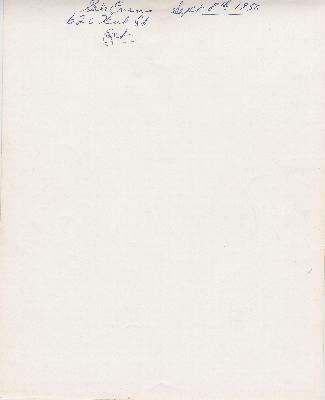 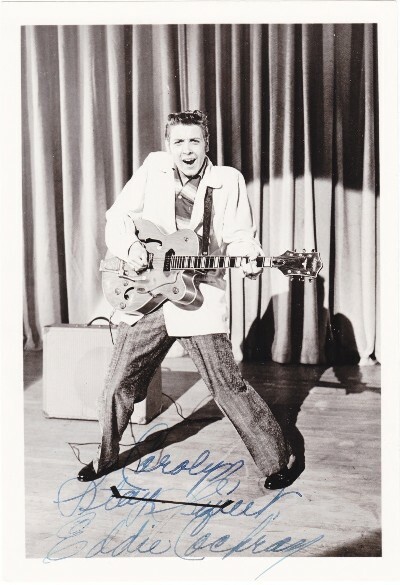 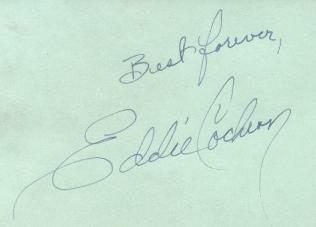 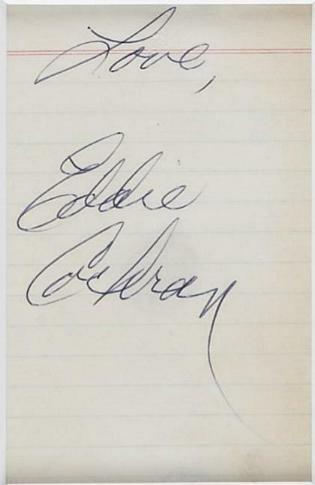 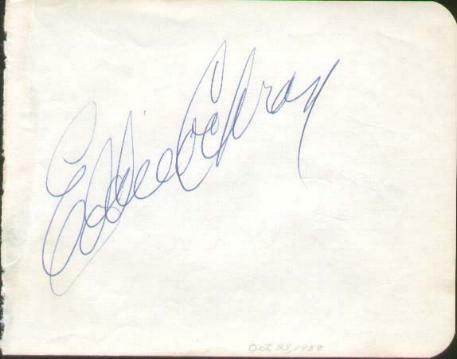 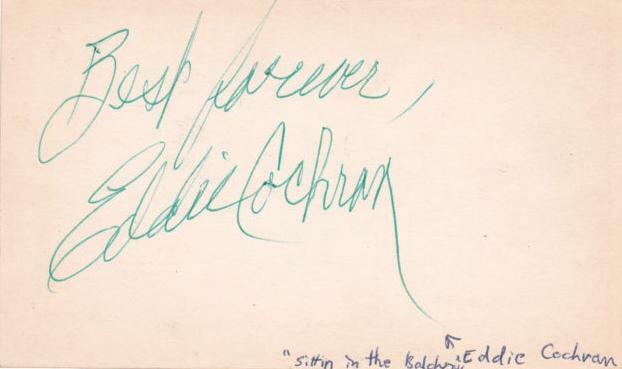 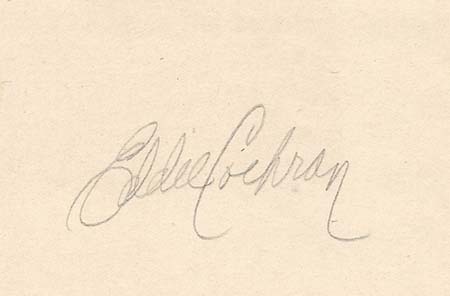 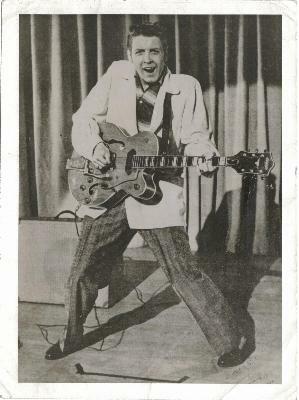 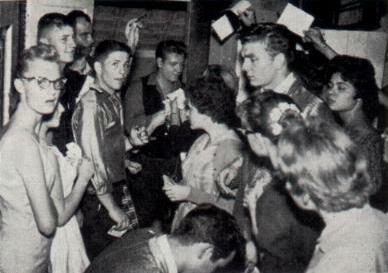 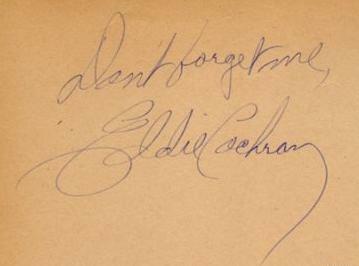 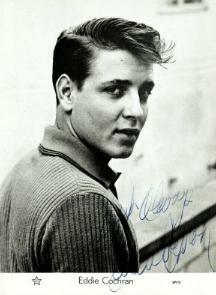 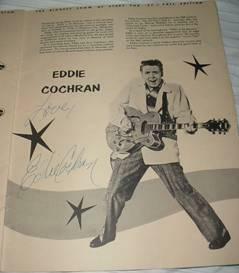 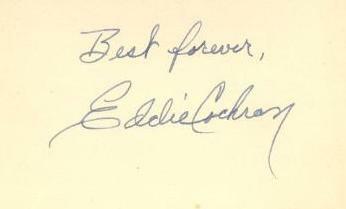 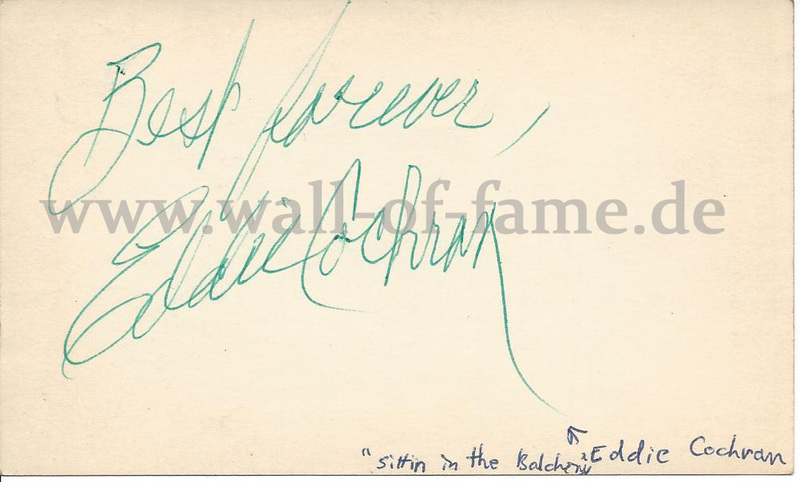 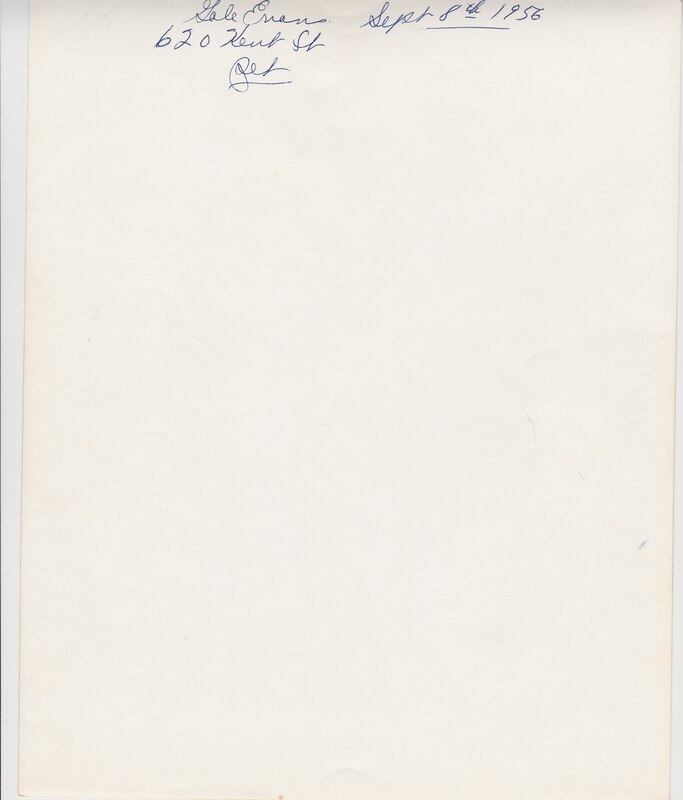 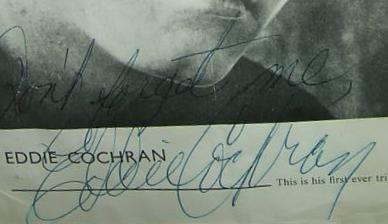 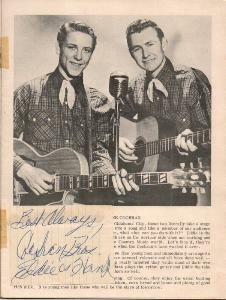 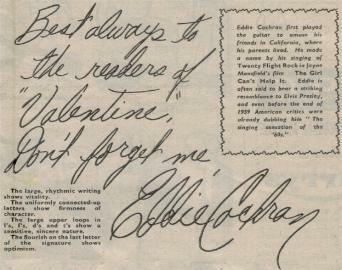 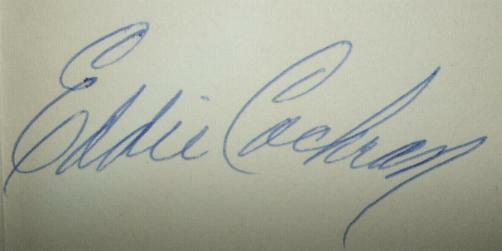 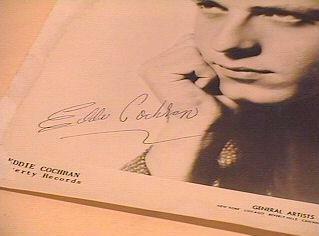 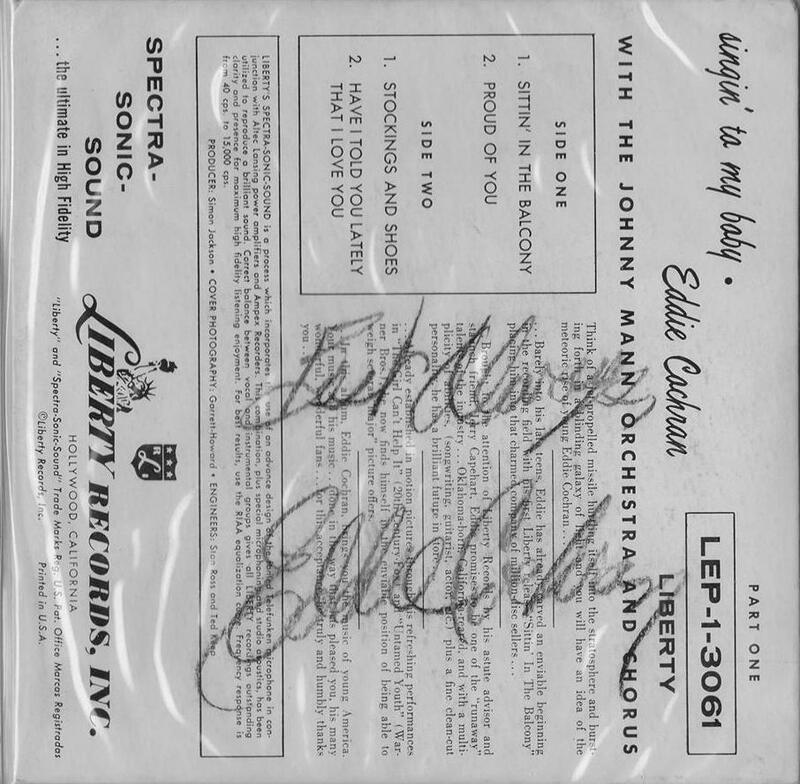 A yellow page from an autograph book that has been signed in a green pen by Eddie Cochran. 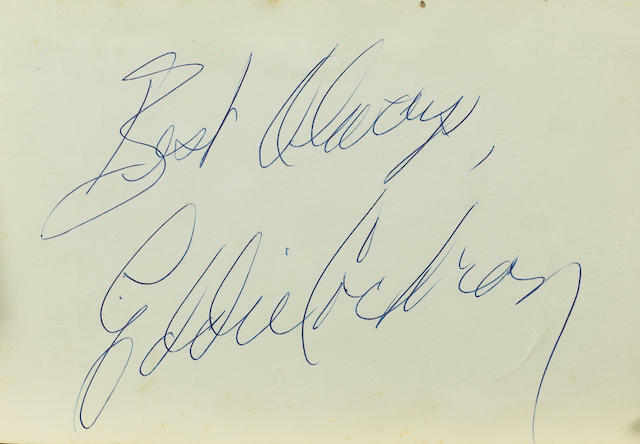 He has added the inscription ‘Best always to Gordon’. Gordon was a journalist who was working for the NME at the time. 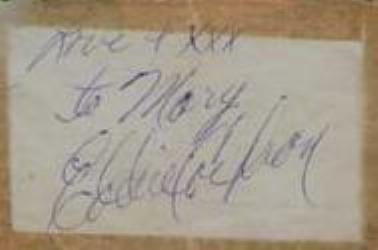 Measures 15.5cm x 10cm (6 inches x 4 inches). 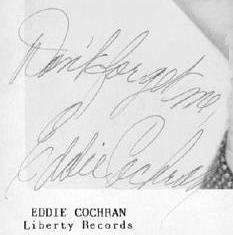 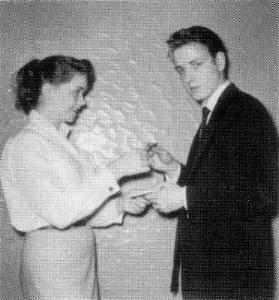 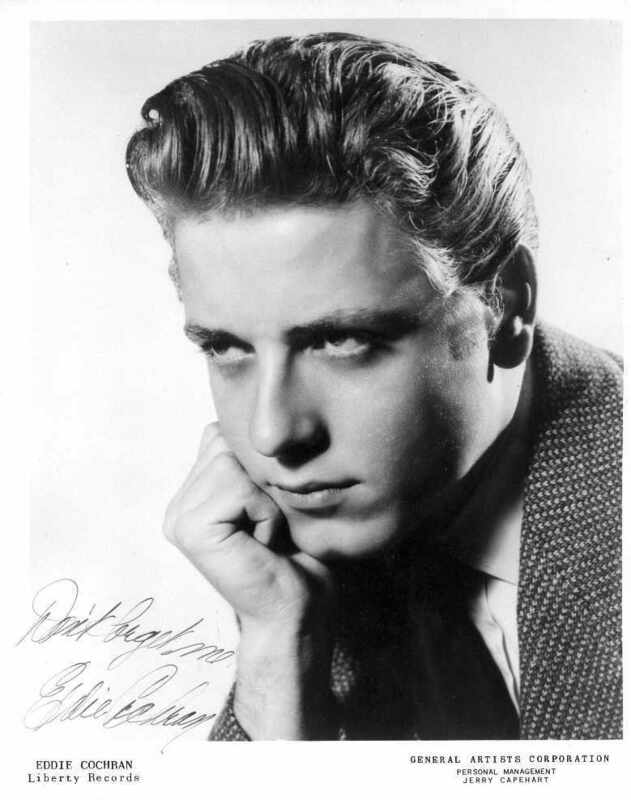 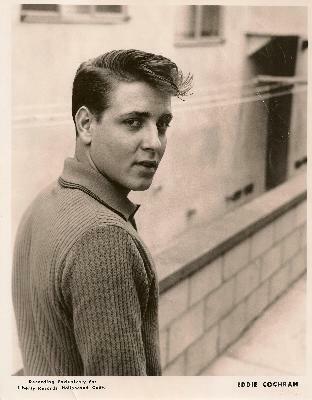 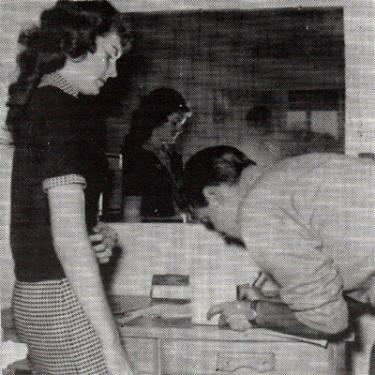 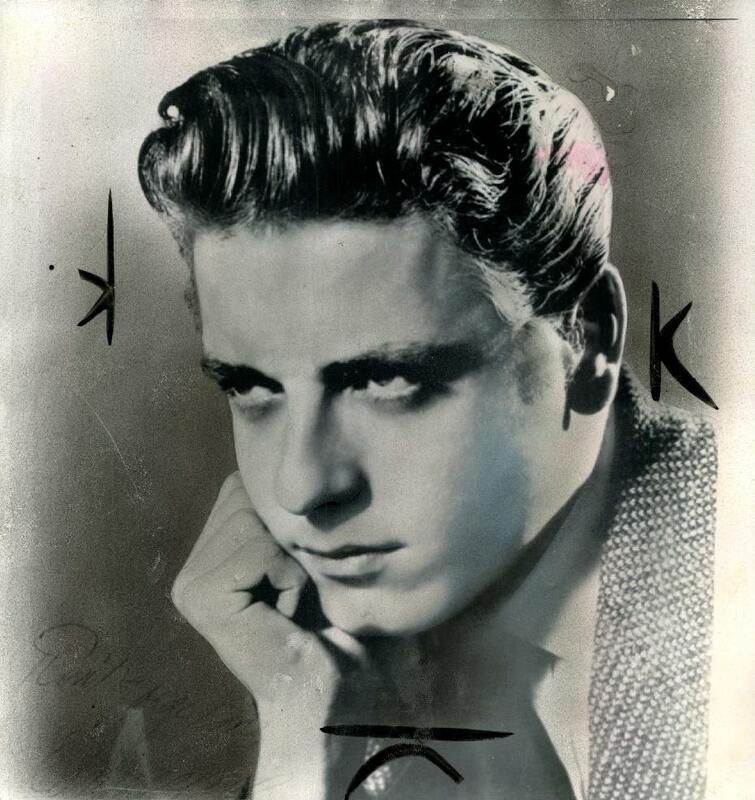 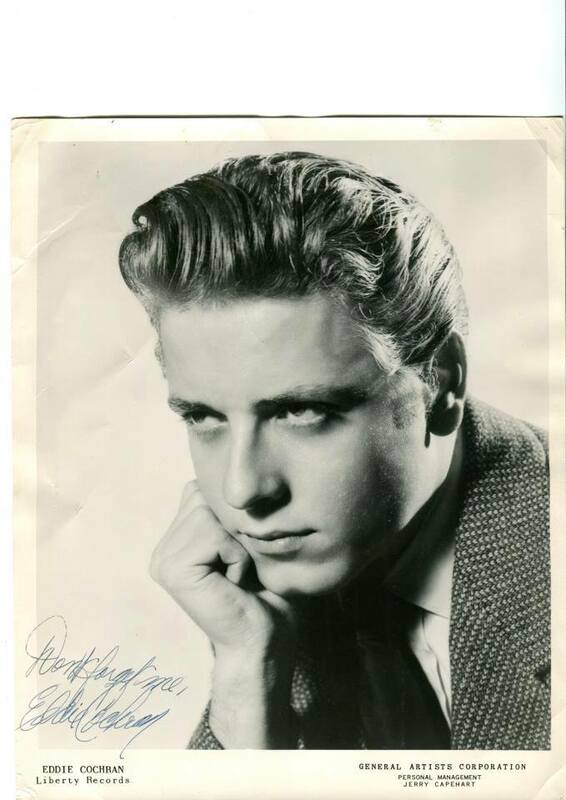 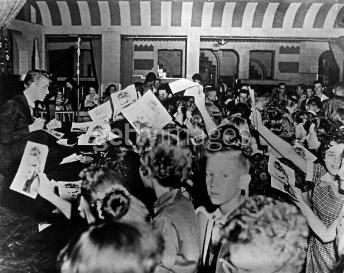 Eddie’s mother would often help Eddie by signing publicity photos' etc. 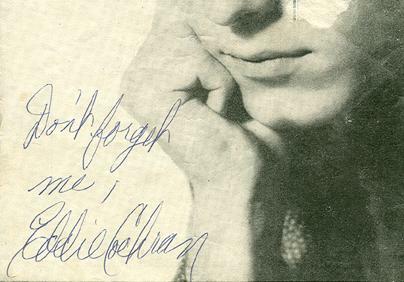 for him. 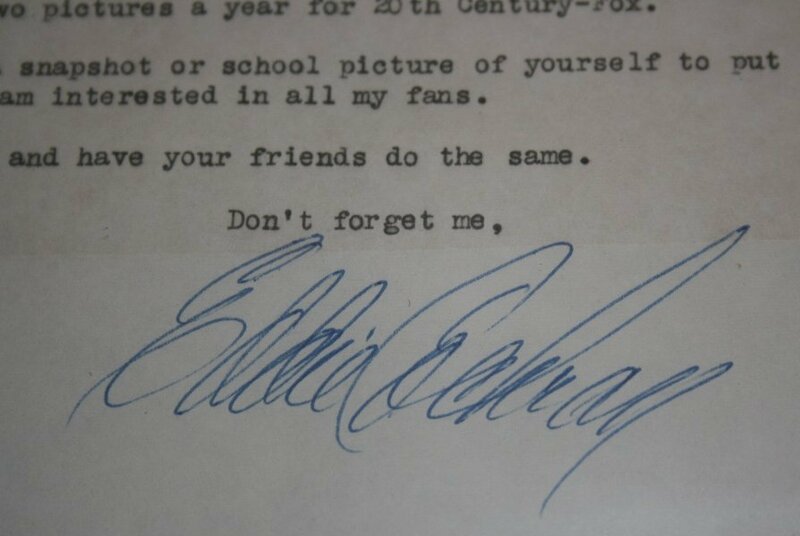 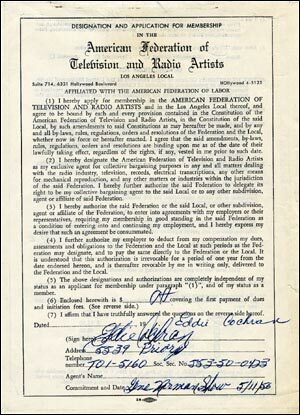 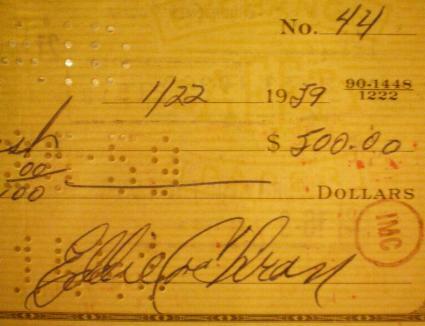 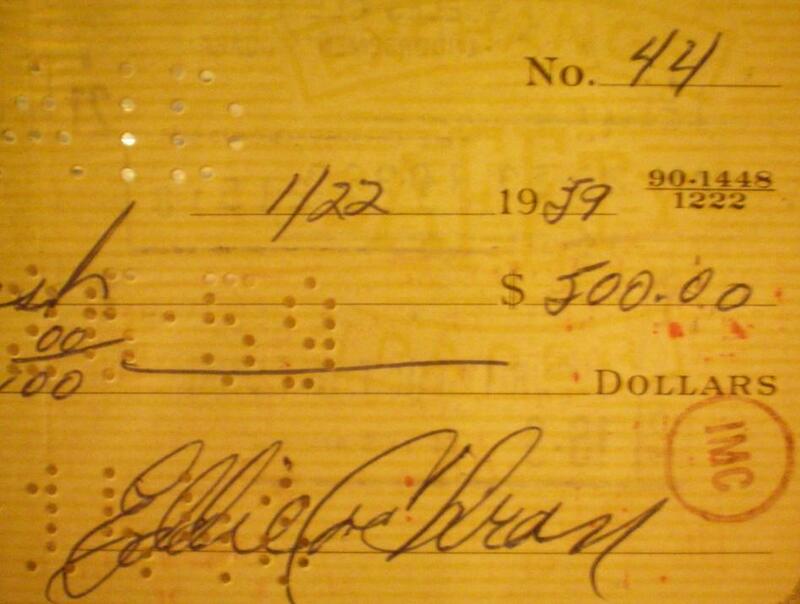 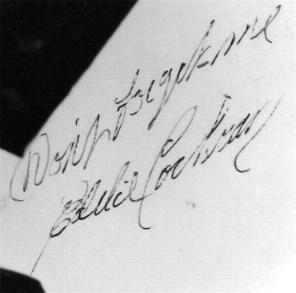 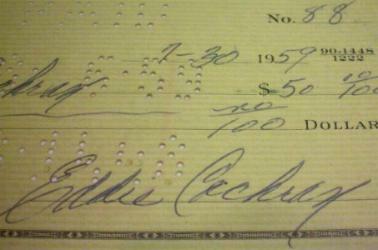 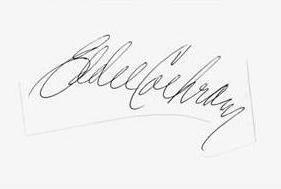 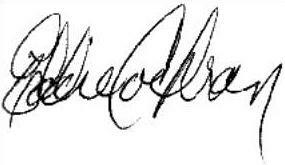 This widely circulated signature could have been signed by his mother!